My years of experience have brought me to a place of compassion and caring which I carry through into every session. I love helping people see their own potential and together, work on strategies for living. Furthermore, I understand pain – emotional and physical and I know it’s different for everyone but in its commonality are ways forward to release the emotional pain of the past and alleviate the symptoms in the present. Your success is my success. I love what I do and I do it conscientiously and well. Let me be your guide to success in your life. I am currently on the advisory board of the Australian Institute of Mind Dynamics and a monthly columnist for iPinion Syndicate. iPinion Syndicate LLC is a collective of accomplished and award-winning writers and photographers. 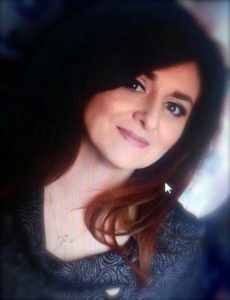 Jane Nash is a Psychotherapist, Clinical Hypnotherapist, NLP (Neuro-Linguistic Programming) Trainer & Master Practitioner, Master Hypnotist, Advanced EFT Practitioner and Forensic Investigative Hypnosis Trainer and holds Bachelors & Masters degrees in Education and has a Ph.D. in Education with regard to trance state and NLP in the classroom for behaviour management. Jane Nash is also a certified member of the National Australia Clinical Hypnotherapists (NACH), the American Hypnosis Association (AHA), the National Board of Professional and Ethical Standards (NBPES) and is a chartered member (and has had research published by) the International Hypnosis Research Institute. Her busy practice spans across Australia, and the UK. She has written diploma and graduate courses for The School of Natural Health Sciences in London (UK) and The Hypnosis Motivation Institute, California (USA). She also runs accredited training courses in NLP and many aspects of Hypnosis in Australia and UK as well as offering corporate training in behaviour modification and lie detection.